Last Christmas season, nearly 60% of all U.S. deliveries by UPS were e-commerce packages to consumers, compared with about 40% for all of 2012. Today, UPS’s haul includes much of Amazon’s 2-day-delivery Prime business. On residential routes, as much as 1/3 of trucks are filled each day with Amazon packages. And last Christmas, when UPS was overwhelmed by a pileup of online shipments at its massive Louisville facility, there were hundreds of trailers stacked up filled with Amazon orders. 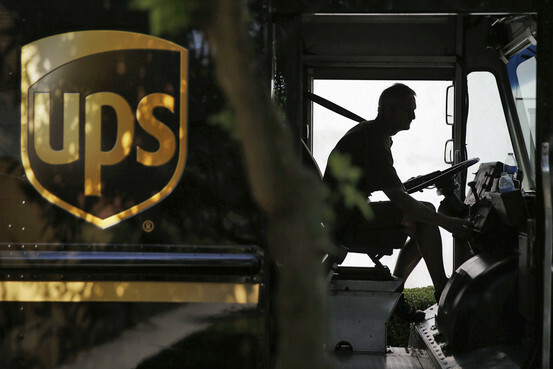 UPS’s responses, reports The Wall Street Journal (Sept. 12, 2014): (1) Increase spending on new technology and extra manpower by 21% to $2.5 billion in 2014; (2) A pricing change that will encourage UPS customers to use boxes that fit the items being shipped, freeing up space in trucks for additional deliveries, or else pay extra; (3) Major savings from its route-optimization system,Orion. (Orion analyzes millions of pieces of data to predict the most efficient way to deliver and pick up packages along each driver’s route. Every mile cut saves the company $50 million a year, with half of UPS’s delivery routes in the U.S. using Orion by 2015. ); and (4) My Choice, a service that alerts customers the day before a home delivery is set to arrive, provides an estimated delivery time and lets customers tell the driver where to leave the package. (Already 10 million customers have signed up for the $40/year service).